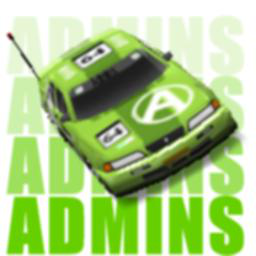 Admins car is the original concept by Nieger33, an romanian co-patriot of mine, who back in the day did lots of skins, pretty much low quality ones. This car can be found on Re-Volt Wiki where he posted it's carbox but no download link. This car was recreated by me by looking at the box art and reparamised by Kipy. It is based on Adeon with a few of beta decals. Drives pretty good and it is easy to drive. Hope you enjoy it.